Back in the fall, I published a rather cranky list of the new TV shows expected for the year. You can read it here. Now that the fall season’s over, I thought it would be fun to look at how each network did. The list’s bound to be pretty sad… I doubt even I could have predicted how badly each network did this year. Note that this is only the list of shows announced in the fall and doesn’t include new shows like Roseanne which were added after the initial fall bunch. The Good Doctor: Looks like it actually got picked up for a second season. Can’t rule out a show with a smart kid, I guess. Kevin (Probably) Saves The World: Canceled practically before it started. Marvel’s Inhumans: Gone. Did we really need another superhero show? The Mayor: Gone. Did it ever air? Ten Days In The Valley: Gone: I swear I forgot about this one. 9JKL: I called this one early – it’s gone. Me, Myself and I: Bobby Moynihan is kicking himself for quitting SNL for this. Canceled. SWAT: Looks like it’s staying on, not real surprising. Seal Team: Unlike its targets, this one survives. Dynasty: I don’t think this aired yet, but I think they’re planning to air it. Valor: Gone with the wind. Ghosted: Still on the fence. The Gifted: Renewed for another season. 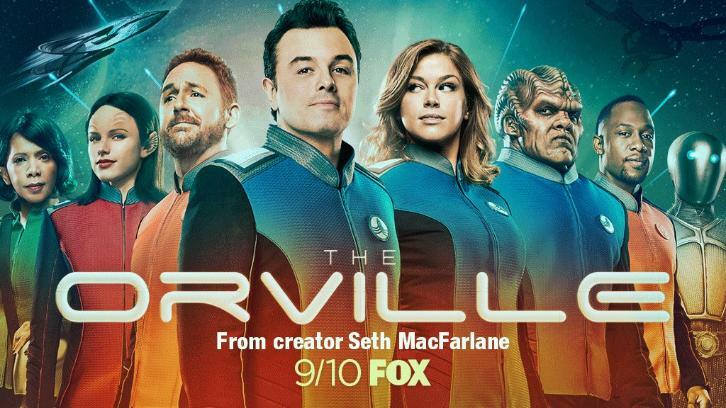 The Orville: My favorite new show on broadcast, coming back for season 2. Law and Order True Crime: The Menendez Murders: Thankfully this was a limited series and won’t be coming back. Will and Grace: Renewed, like, forever. You would think that after all these years, broadcasters would have a better idea what people want out of TV. Instead, they’ve compensated by ordering shorter and shorter seasons. In the past, a show would get a full-season order, and today most shows get 3 or 6 episodes to prove themselves. Of course, back then even the worst show on television performed better in the ratings than any certified hit today. The lesson here, learned by both ABC and NBC, is that there’s still a lot of gas in the old nostalgia TV trend. Will and Grace and Roseanne are the biggest winners of the season.American Idol is holding its own, although it’s far less popular than it was in decades past. CBS is coming out swinging next season with Murphy Brown and there’s pretty persistent talk of another season of The Office.